This is not a rumor, Nintendo themselves just released a video with Takahashi explaining the situation. This is a huge chunk of transparency from Nintendo about behind the scenes happenings. Apparently it wasn't going well so it seems they are straight up giving it back to Retro Studios who will start development from the beginning again. As some of you probably know, I was very wary of the Metroid Prime 4 is coming but we won't tell you who is making it announcement (eventually revealed to be some Namco-Bandai staff? ), and was keeping my hopes up but had some skepticism that it wouldn't be done right. Unfortunately, my skepticism was not unfounded. On the other hand, maybe it was, because Nintendo seems to understand that this is a big game and they can't just throw anything out there. They clearly understand the stakes here, and seem to be doing what they need to do to make it high quality. Anyway, the negative here is that with development starting over it'll probably be late 2020 at the earliest that we see this game, more likely 2021 or 2022. It's ok, I can wait for an amazing Metroid Prime trilogy follow-up. They probably announced it to avoid another embarrassing collective hissy fit when they showed Samus Returns. It felt like the announcement was rushed, right? Like they just needed a big game to announce and didn't have anything ready to show off so it was like uh yeah we're also doing Metroid Prime 4, here is a logo and GOOD NIGHT. Nintendo's E3 2017 was fine without. They didn't need this to somehow save face or something. It wasn't like some years where they had nothing to show, they hand plenty; you look at their presentation and it was really good already. 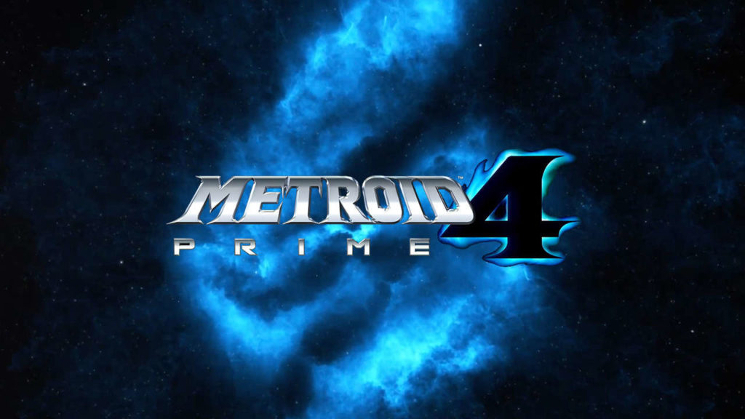 Sure a Prime 4 logo was a nice addition, but it was not a make it or break it sort of thing for that E3. It was already great. That said, Nintendo tends to show off logos/"yes-we're-making-this" of games far down the road. It isn't new for them, it's just that usually development doesn't flop so they don't have to start over again. Especially when it's a long running series. Kirby games often went through development hell, too, but Samus has probably surpassed the little pink puffball. Of course, we also HEAR the most about the Metroid failures, I think. Like, Mario probably has a bunch of reboots and retooling, but Nintendo never talks about that. And Zelda too, no doubt. And we GET the bad Star Fox games, lol. Maybe the simple conclusion is "making incredible games is dang hard." I'm going to go with that. So long as the final product is great, I’m fine with this. It’s not as if I don’t have a ton of other games to play at the moment. Metroid is super important to Nintendo, it's part of their holy trinity of ground breaking games that basically influenced the entire gaming industry. It may not bring the sales but it has brought a ton of critical acclaim. At least two entries in the series are argued as being perfect games/the best games of all time. It created an entire genre of games basically. They're making a huge deal about Prime 4 and look at everything they've said about it already. Proof is in the pudding, they wanna get this right. They announced Prime 4 because they announced Samus Returns at the same e3 and they didn't want to risk the Metroid fanbase throwing a massive yearlong temper tantrum like they did with Federation Force.